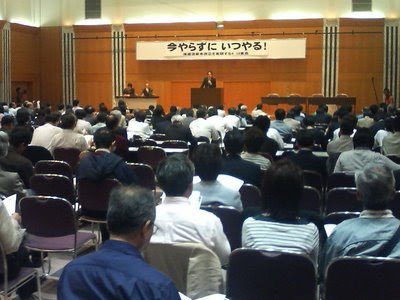 On April 13, a 260-strong meeting took place at the Bar Association HallCREO, Tokyo, entitled 'Now is the Time for Radical Revision of Worker Dispatch Law' Rally. Participants included labor organizations, citizen groups and individuals that had been involved in the Tent for the Jobless initiatives. 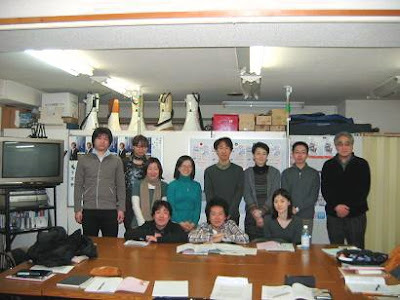 The purpose of this meeting was to realize drastic revision of the Worker Dispatch Law, and participants also included representatives of the Democratic Party, the Democratic Socialist Party, the Japan Communist Party and the People's New Party. Among voices from reality on the ground, a compelling appeal of a youth (see the photo) who had been dismissed due to discontinuation of a worker dispatch contract received great applause of sympathy when he said from his heart, "We get fired with the simple remarks of our team leader like 'That guy isn't good enough. Send in a new worker. 'They treat us like disposable items. This form of employment is obviously wrong." 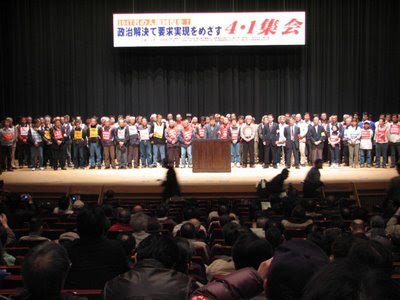 The organizers of the rally are planning to stage a rally in the Hibiya Outdoor Music Hall on May 14, determined to exercise all their strength to have the law revised drastically in the current Diet session. 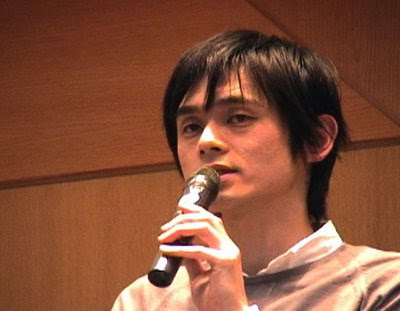 On March 28, Anti-Poverty Festa 2009 was held at Kanda Hitotsubashi Junior High School. 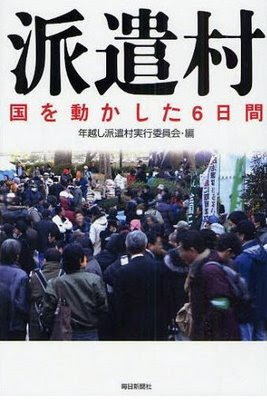 Many homeless people lined up for free food, which reminded visitors of "TentCity," which drew many jobless during the New Year's holidays. About 1,700 people of a wide age range gathered at the festa. 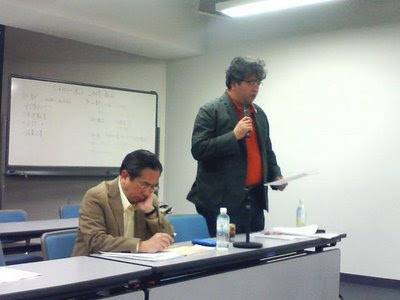 In the afternoon, a symposium was held on"Our work is threatened" (see photo). People who were laid off from their temp jobs and others who face severe labour conditions told their stories at the rally. 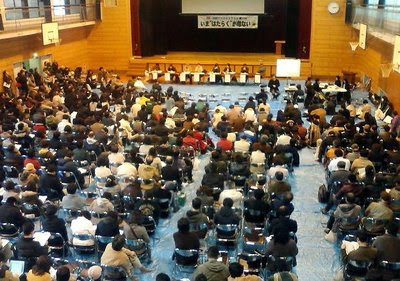 Three federation of labor unions and citizens groups also discussed about Japan's labor issues and threw criticism at one another. 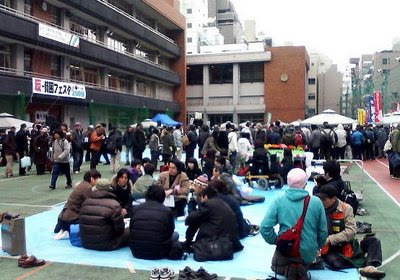 At the closing ceremony, Anti-Poverty Network representative and lawyer, Kenji Utsunomiya, said:"I agreed with the opinion that the success of Tent City came about from cooperation between labor unions and citizens groups. We must create a society where people can work in a decent manner by strengthening relationship between the unions and citizenry groups." 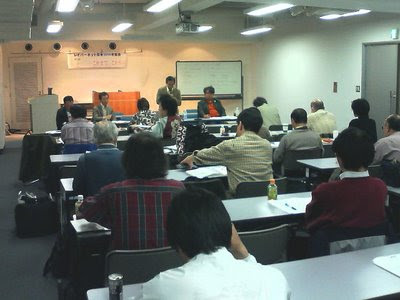 On March 20, 35 people gathered for the Labornet's 2009 general meeting in Tokyo and discussed future direction of the group. 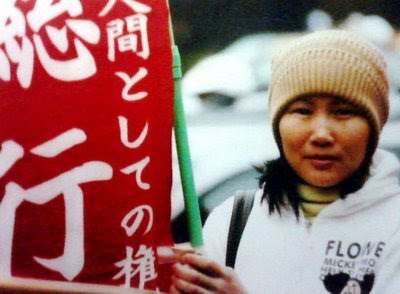 Makoto Kawazoe (photo right), one of the group's representative, reported on what you can see from non-regular/anti-poverty movement. "Several tens of thousands of temp workers are being laid off, but only about 2,000 dismisse workers have joined unions. The number is too small. 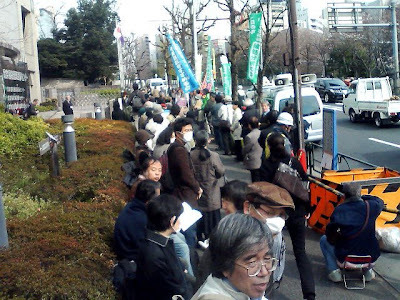 I've met some people who came to our union with 800 yen in hand. When the situation gets this worse, there is a problem before you start talking about problems at work. These people have a strong sense of responsibility and tend to feel pressured, while they are distrusted in and resigned from unions. The issue here is how we can overcome that. Labornet ran a Union Yes! 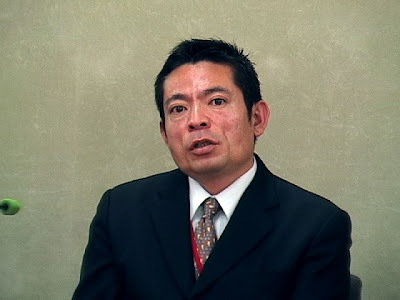 Campaign in 2007, but we need a new scheme that is more inviting and suitable for the younger generation amid worsening economic and labor crisis." 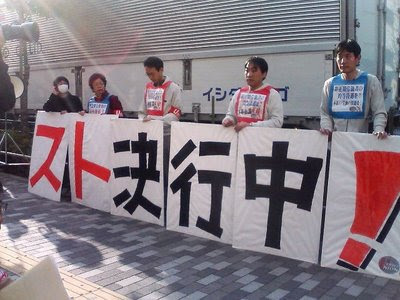 On March 19, Postal Workers Union and Telecommunications Industry Labor Union (Dentsu Union) executed a strike against no response to the 2009 spring offense demands.The postal union demanded that the company improve working conditions for non-regular workers, but it had not responded to the demands. 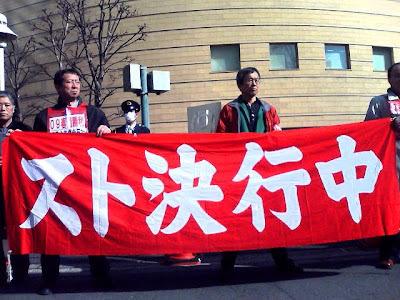 The union went ahead with adesignated strike at 10 branch stores from 8 a.m. About 50members of Dentsu Union executed the strike at four locations. (Photo left: Fukagawa post office in Tokyo; right, NTT East Co. main headquarters) See video(UnionTube), Postal Workers Unon homepage.